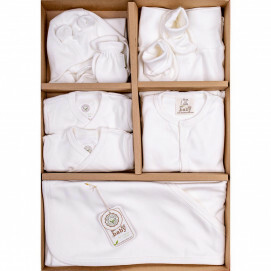 Prepare your baby for the first months of convenient- high-quality step out sets, offered by online store Pakostnik. Step out sets are designed for your comfort, so you don't have to look for any clothes separately. Sets are in different colors and usually include various combinations of bodysuit, union suits, rompers, blanket, hat, mittens and bibs.